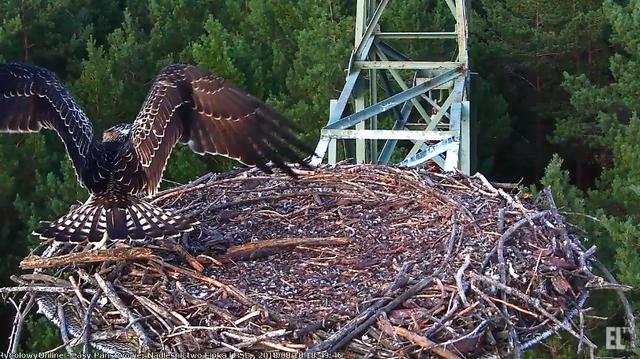 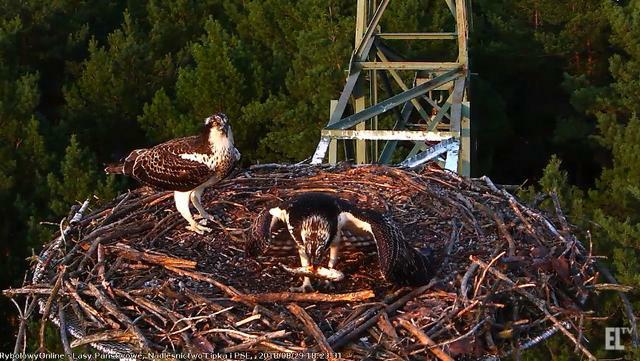 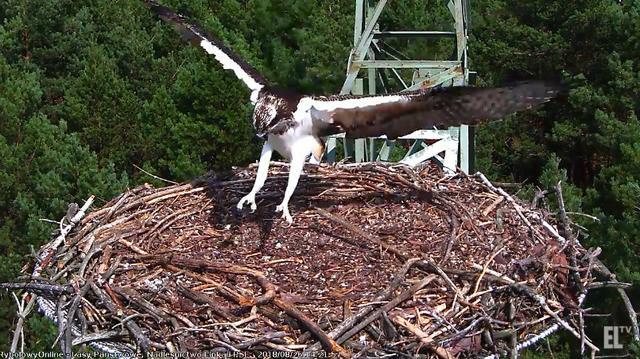 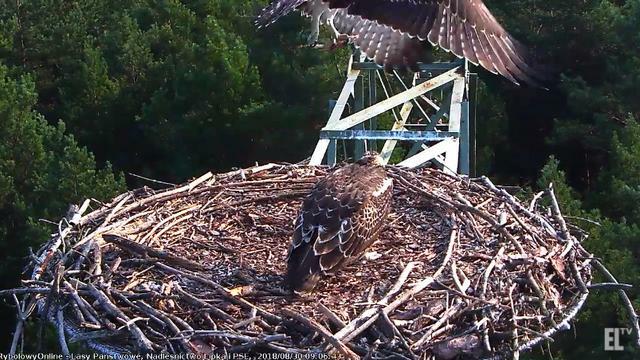 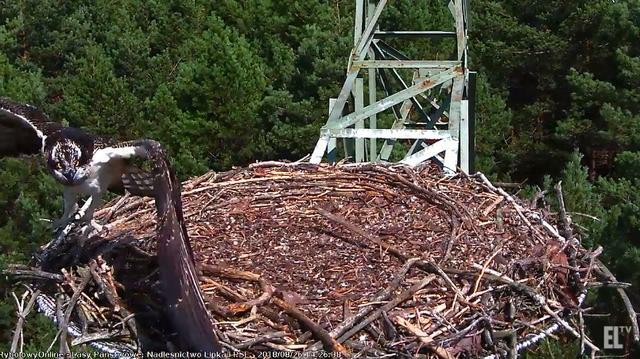 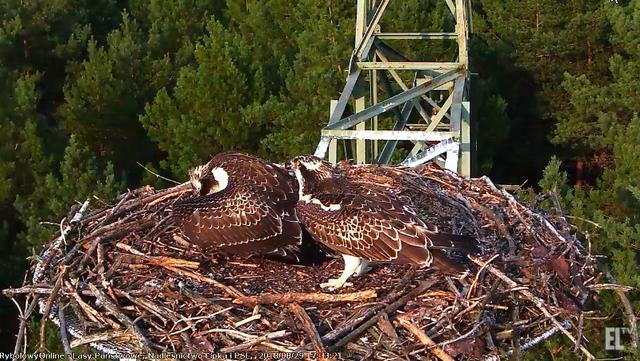 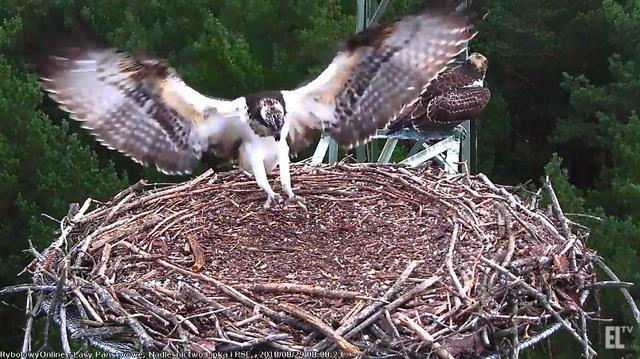 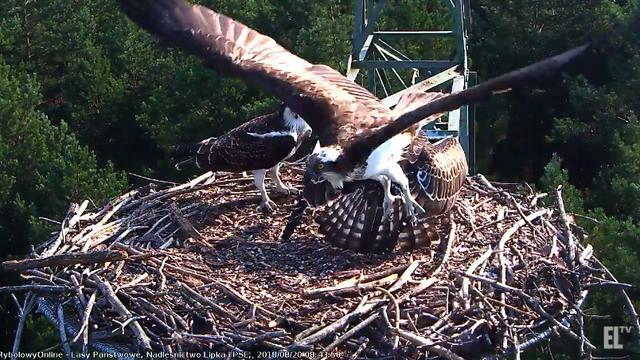 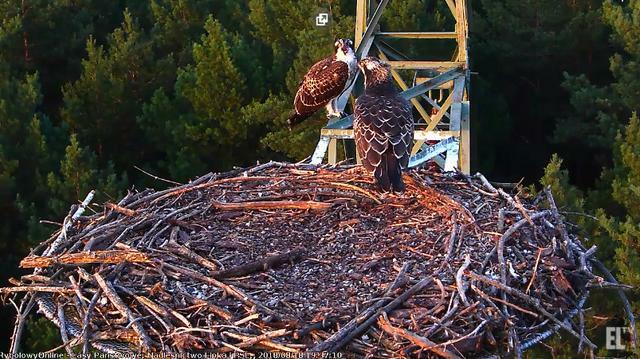 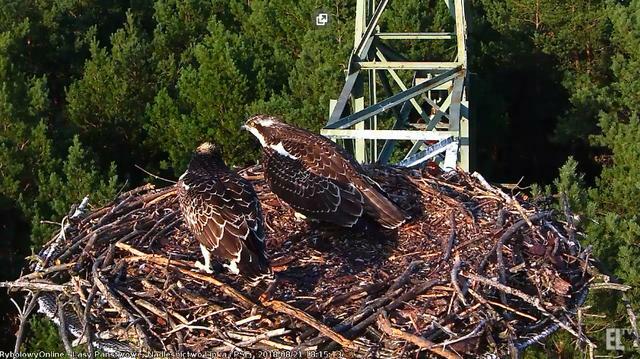 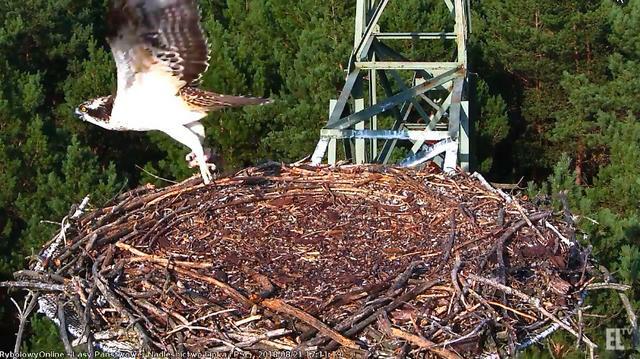 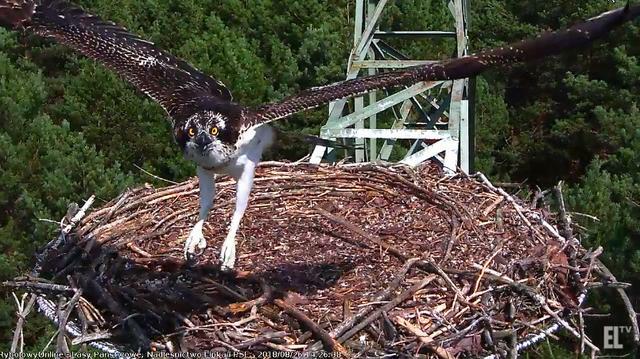 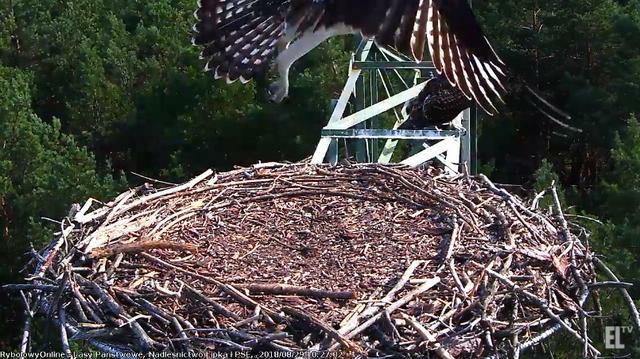 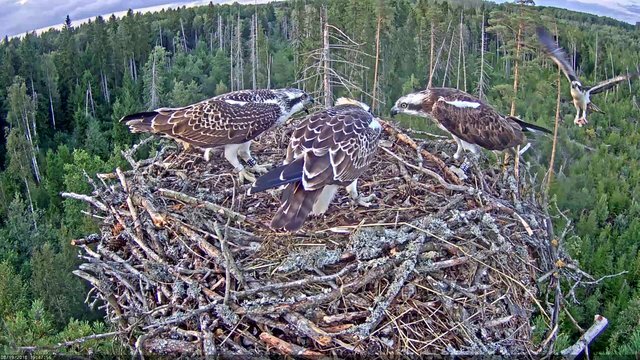 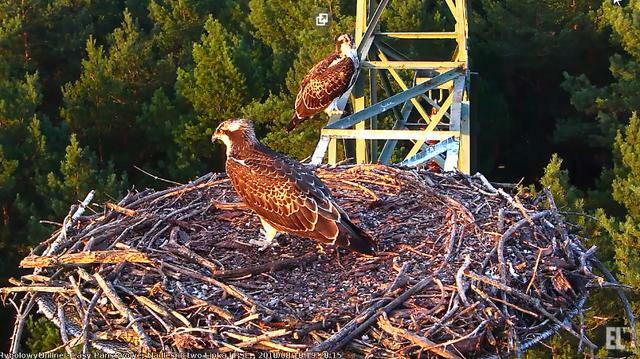 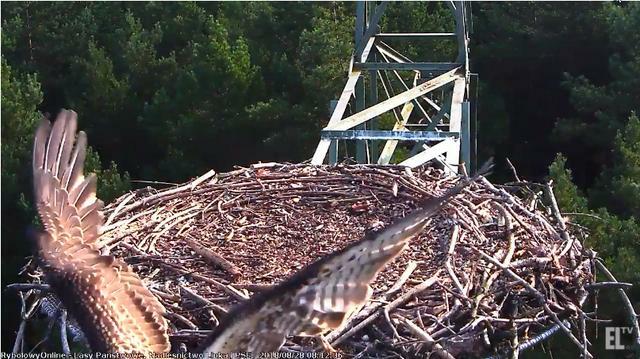 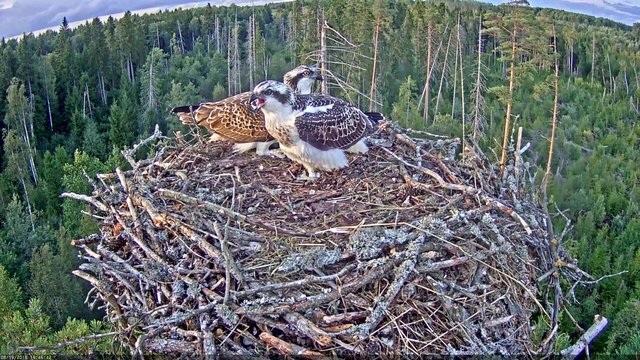 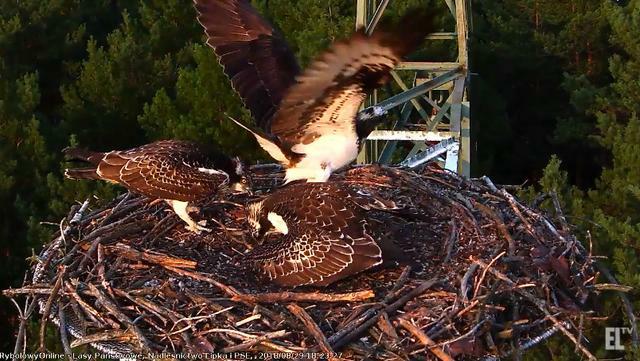 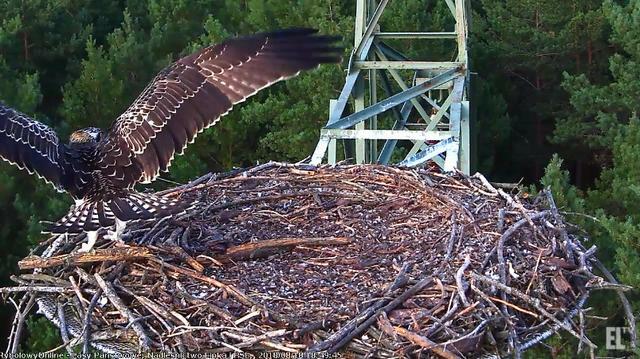 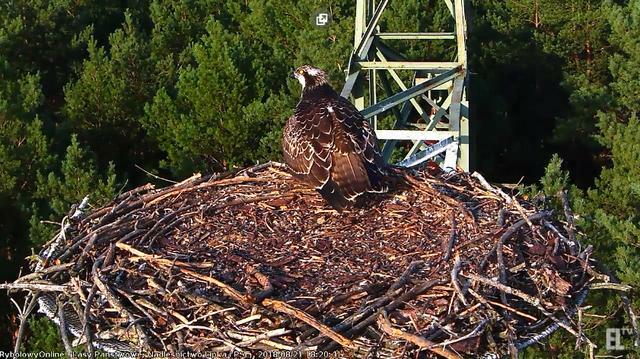 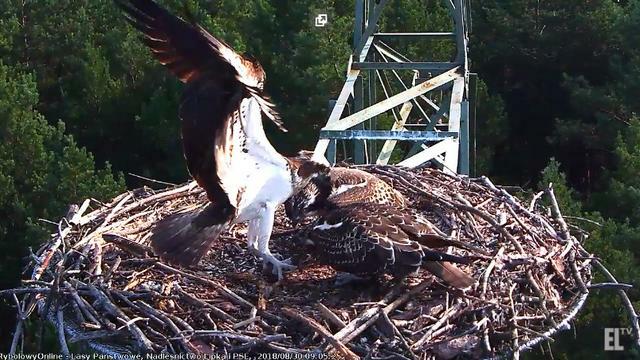 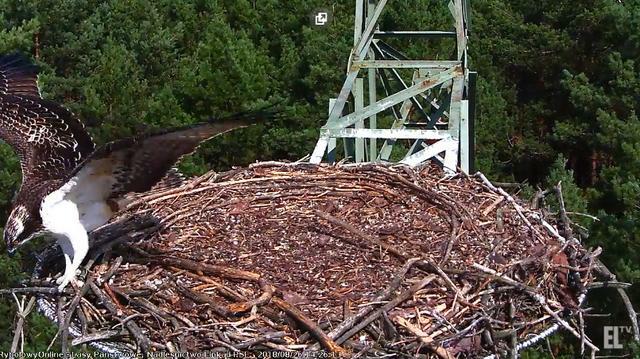 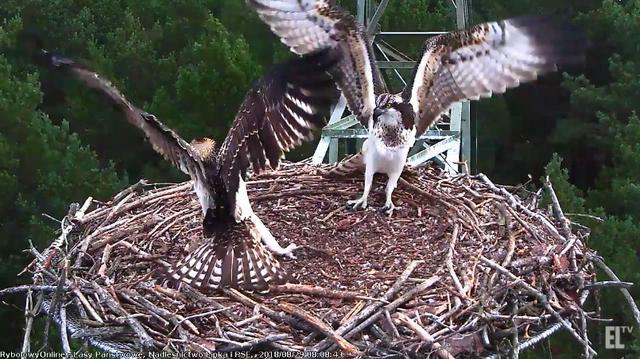 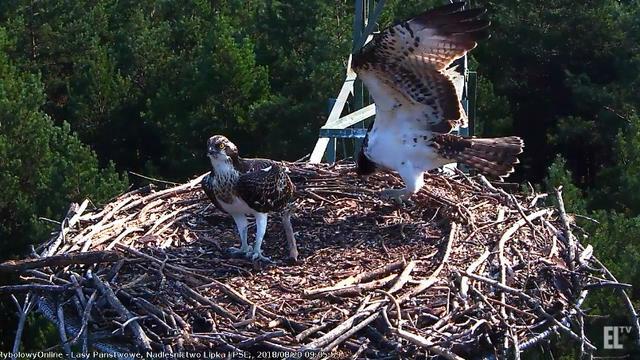 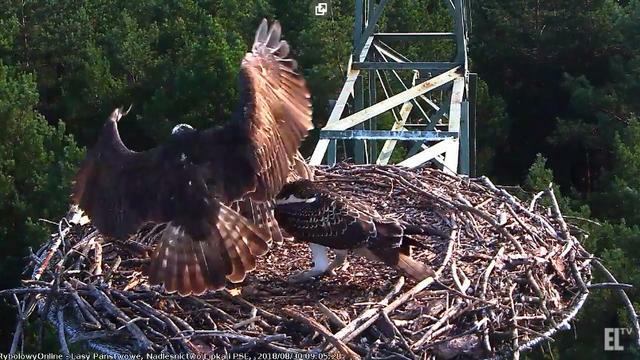 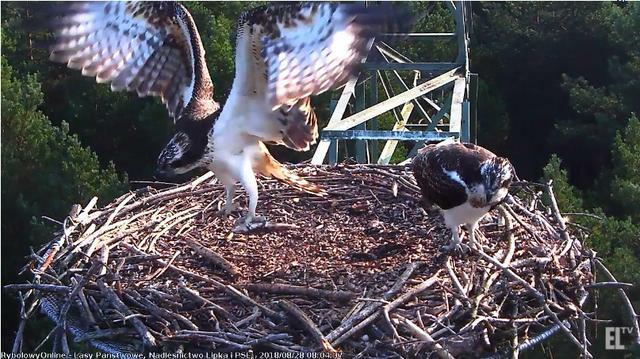 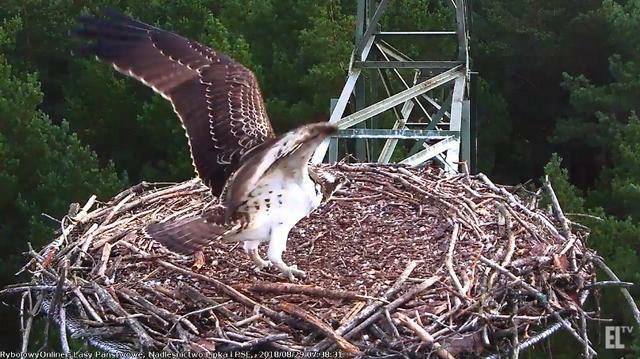 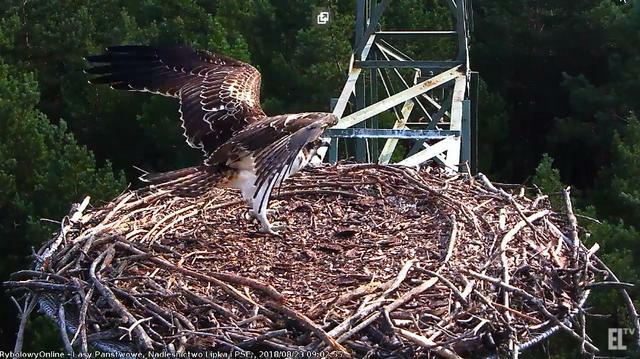 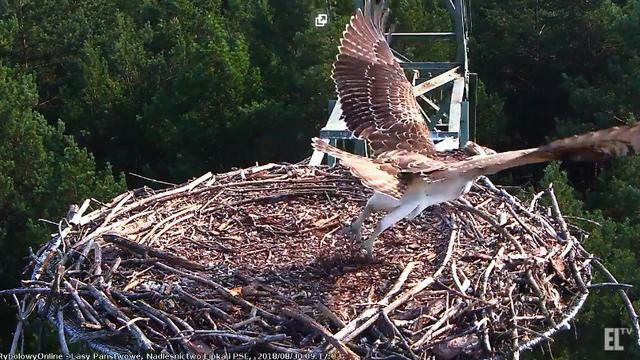 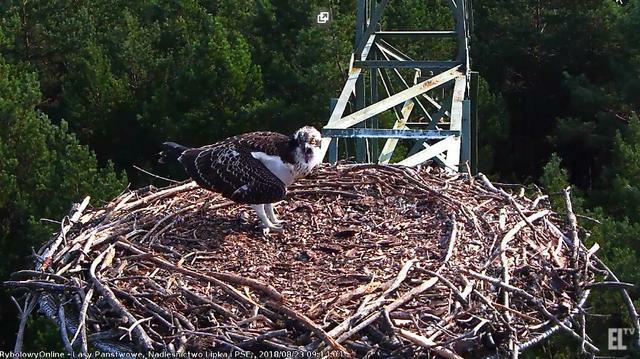 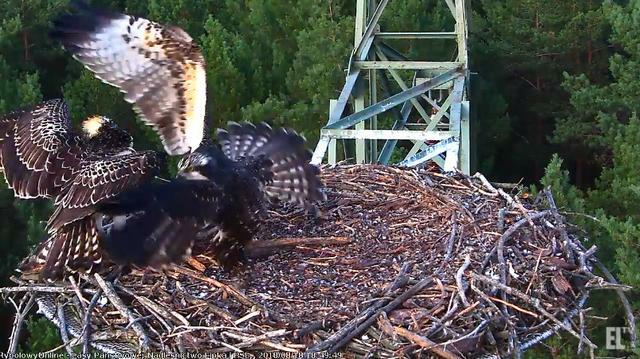 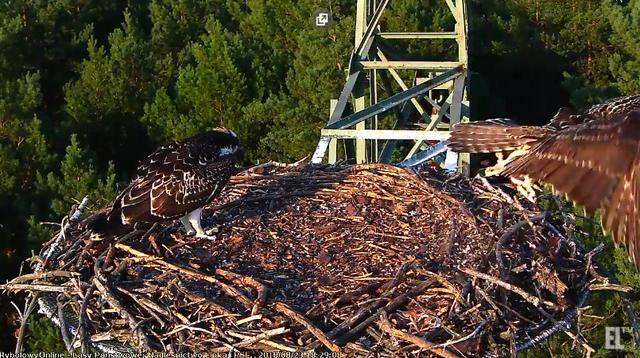 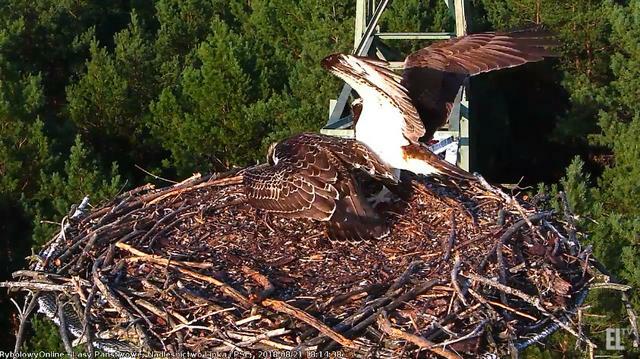 Halifax, Nova Scotia - both chicks have fledged. 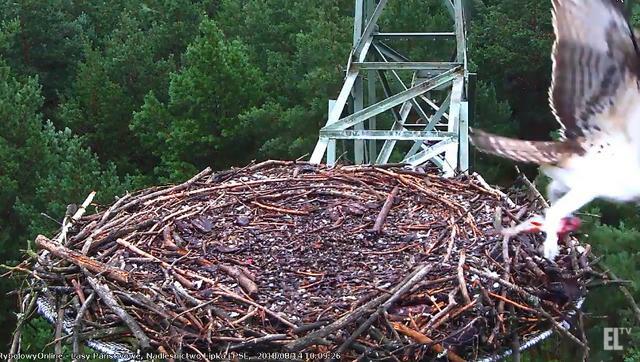 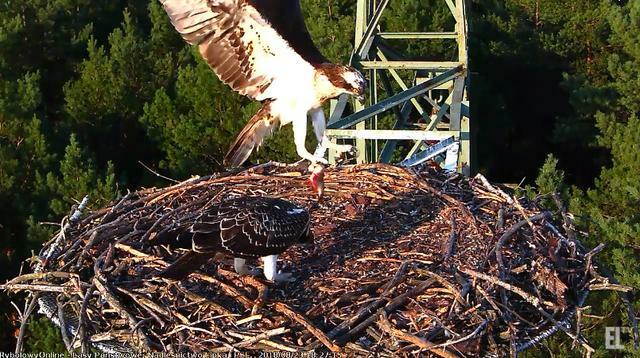 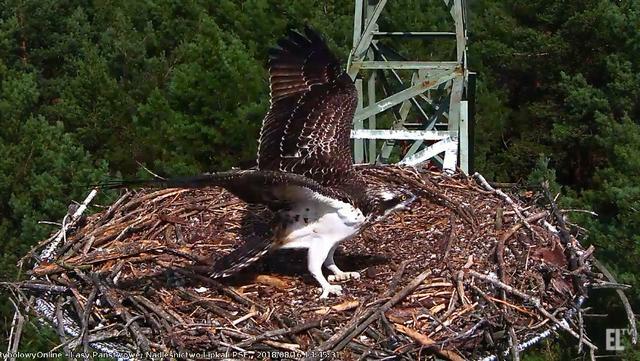 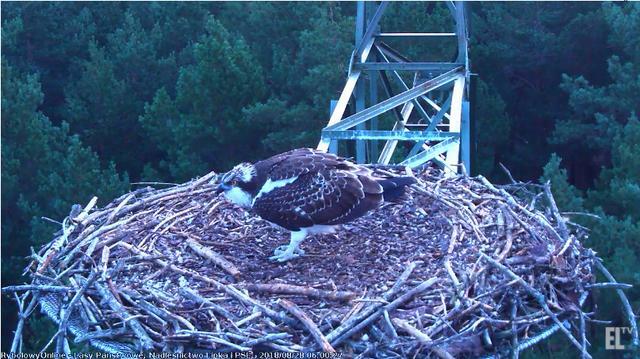 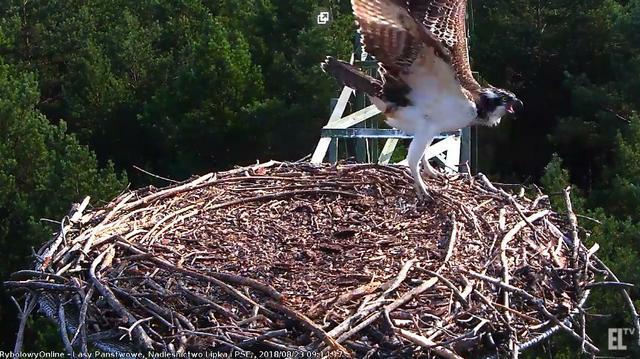 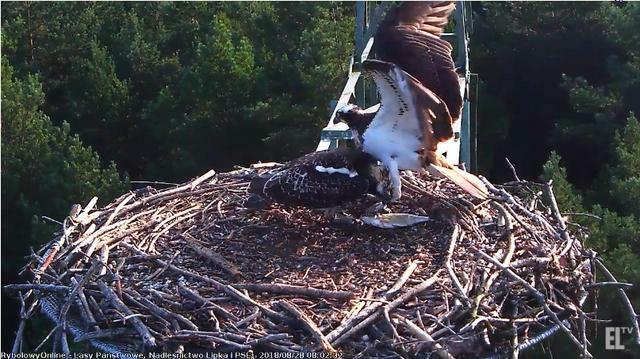 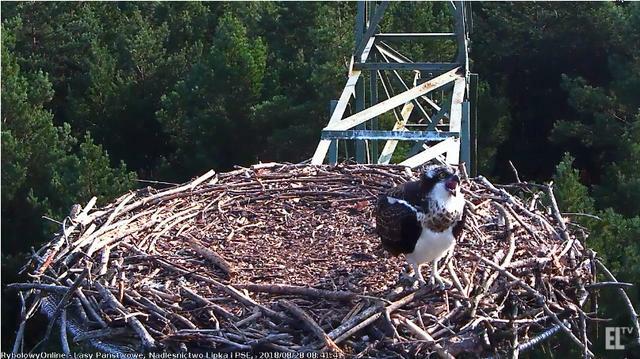 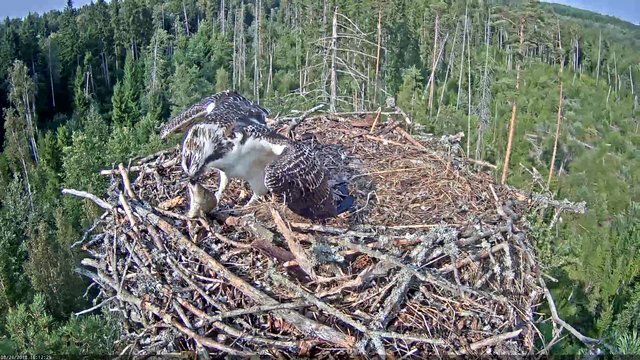 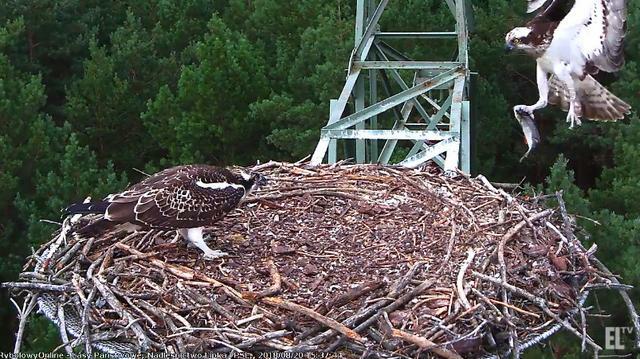 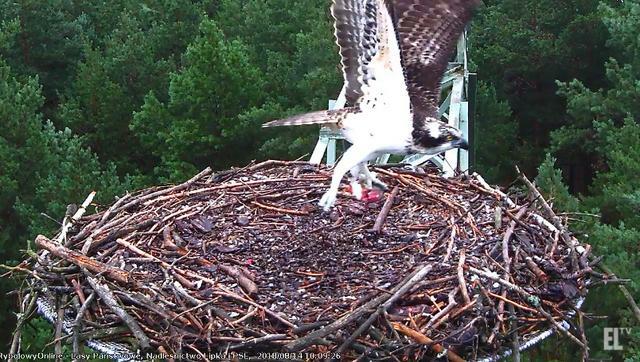 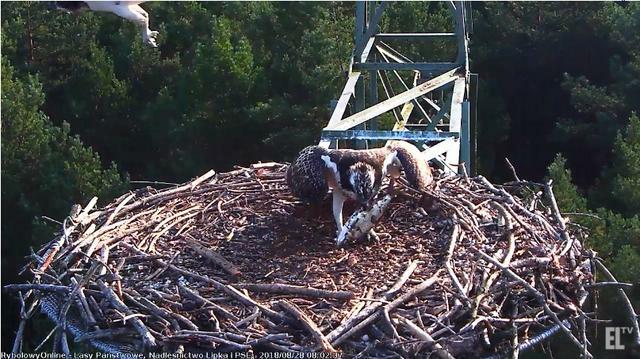 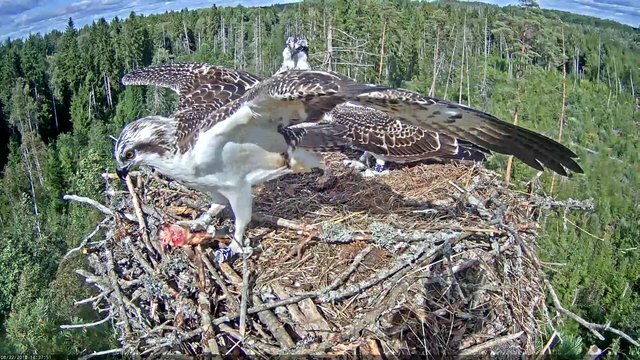 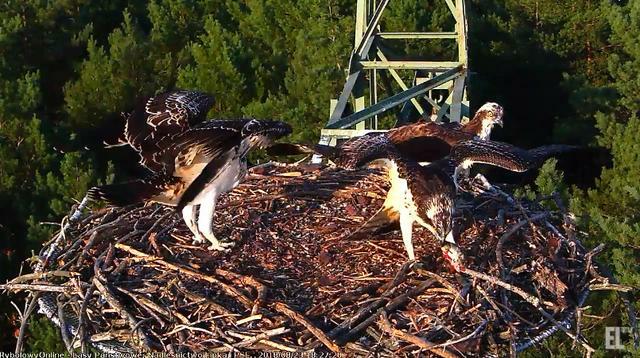 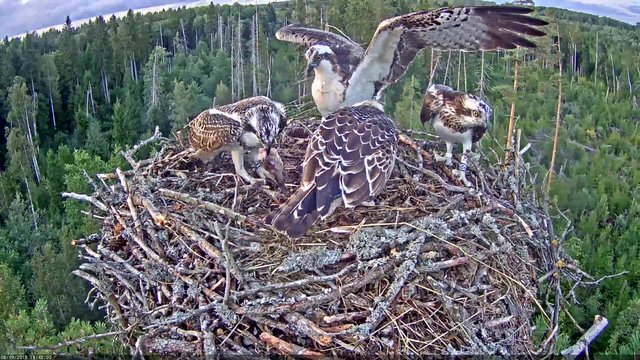 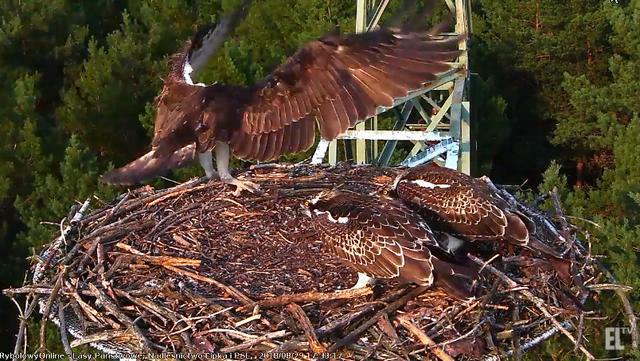 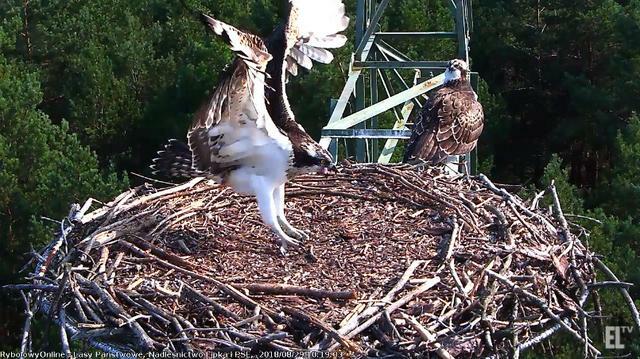 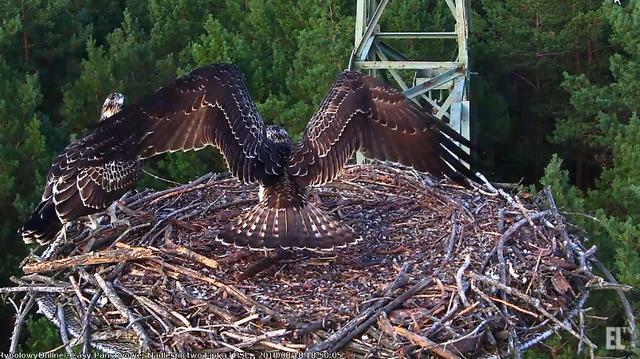 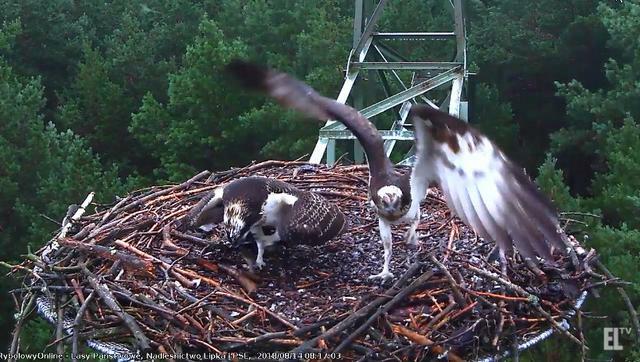 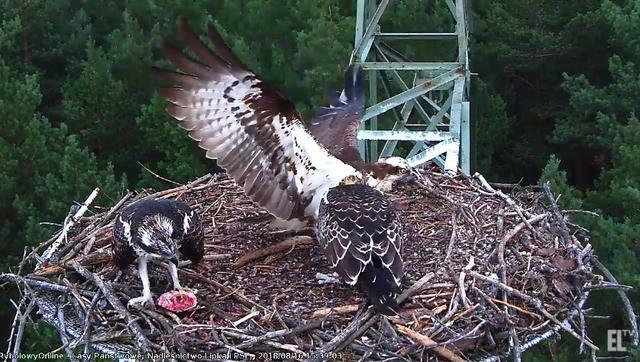 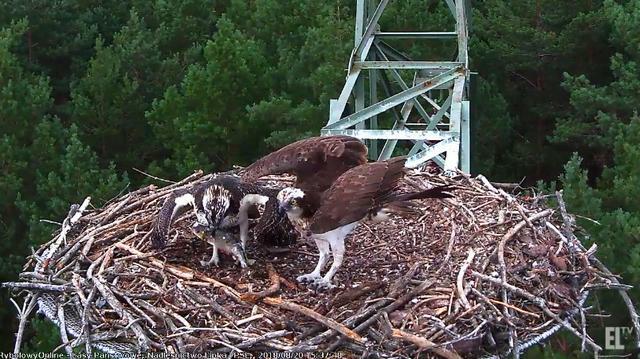 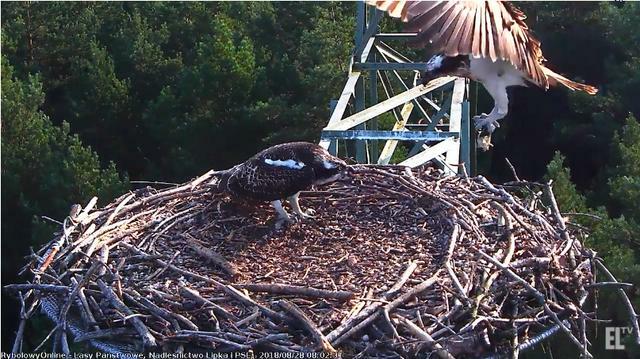 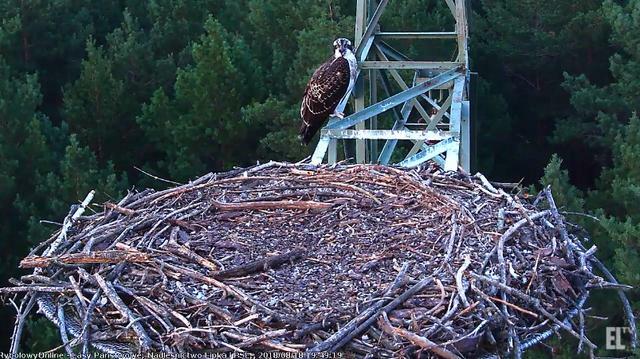 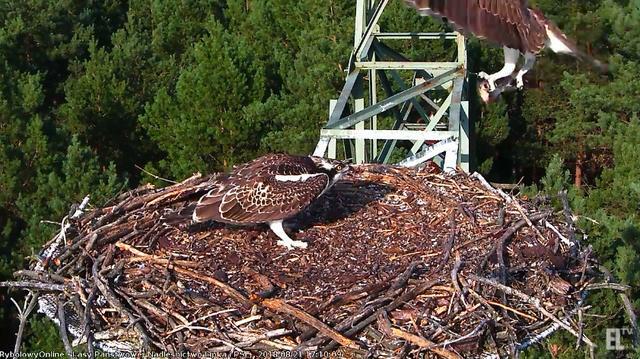 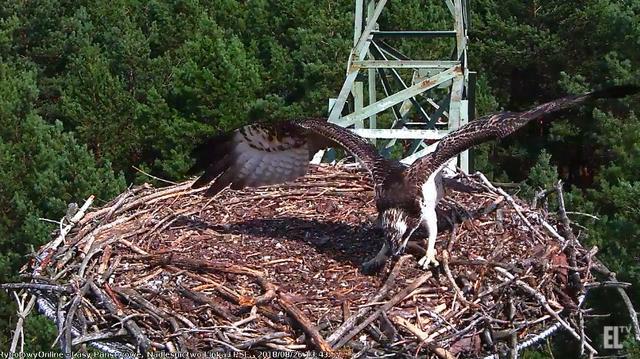 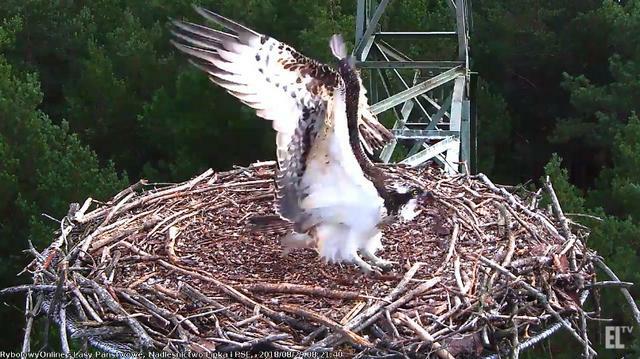 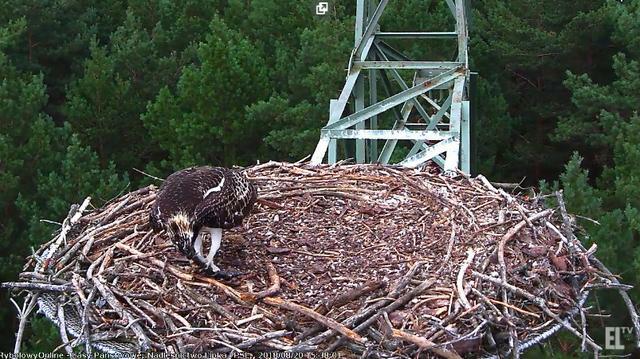 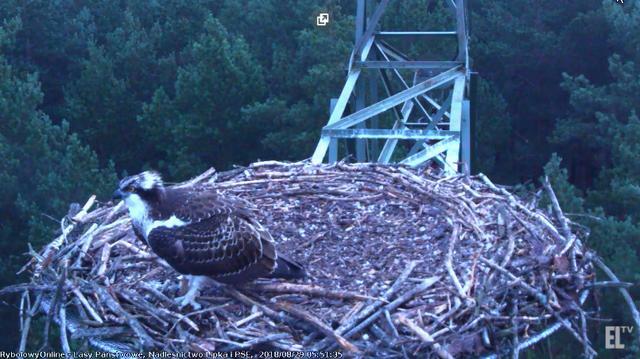 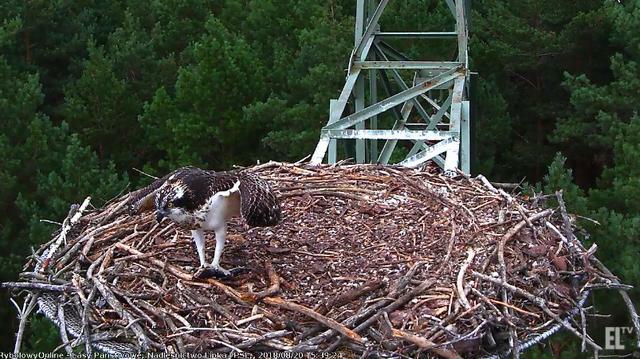 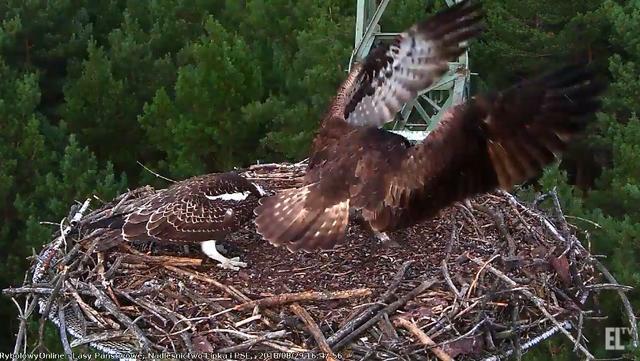 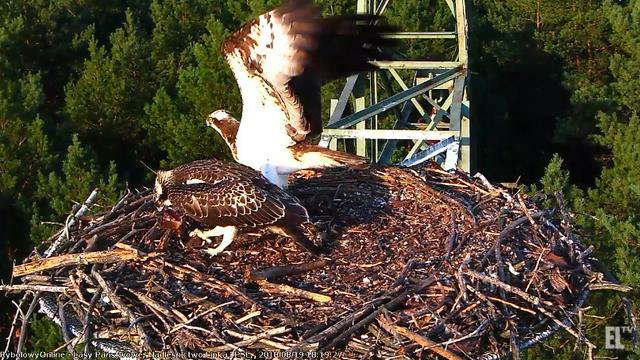 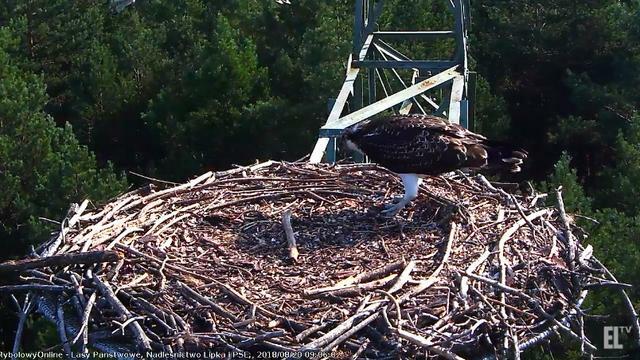 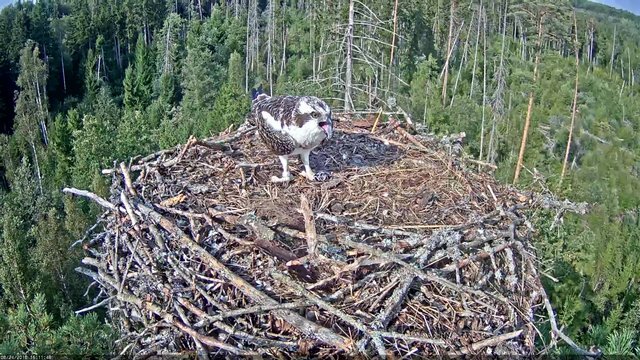 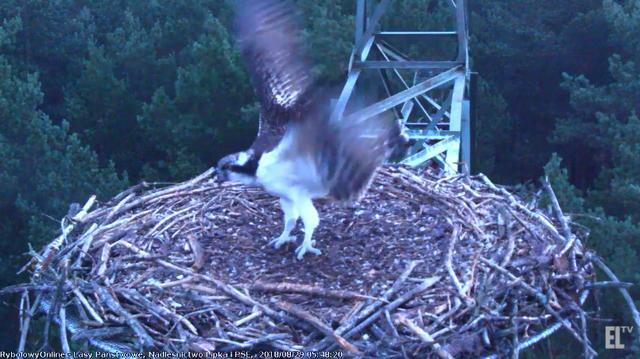 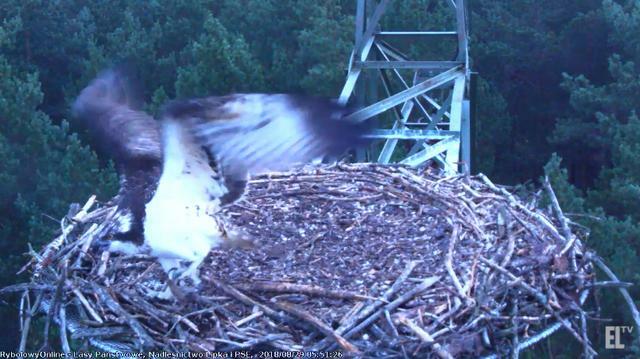 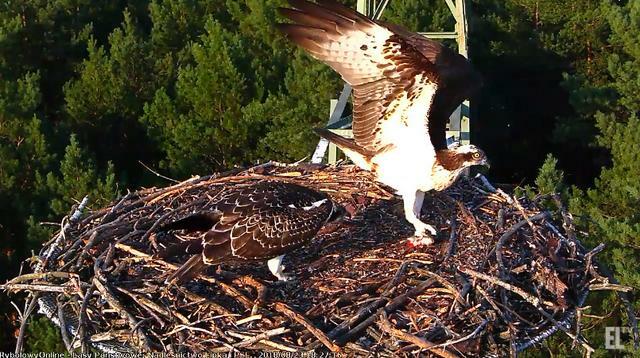 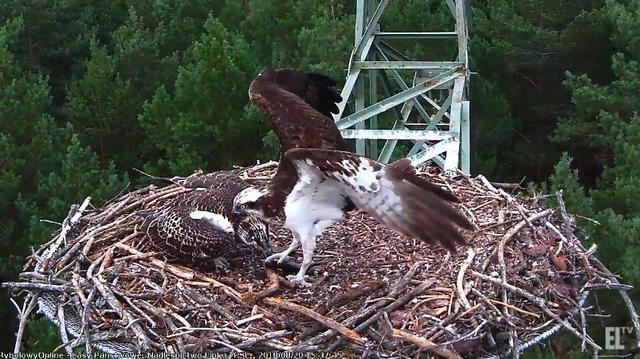 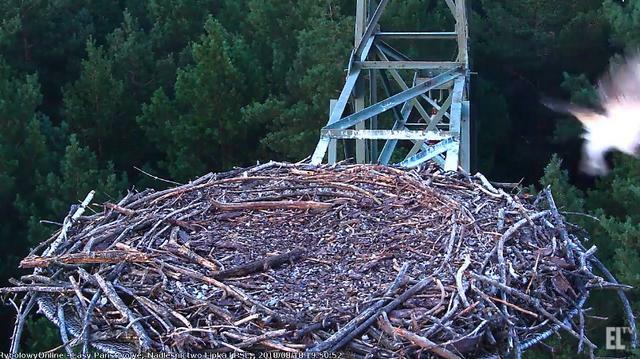 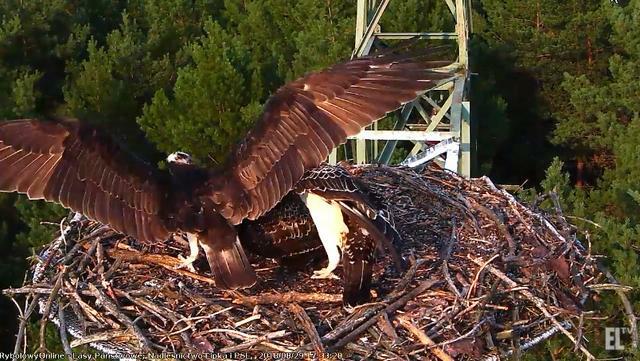 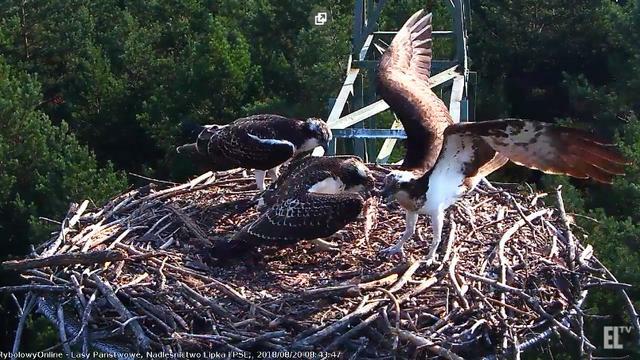 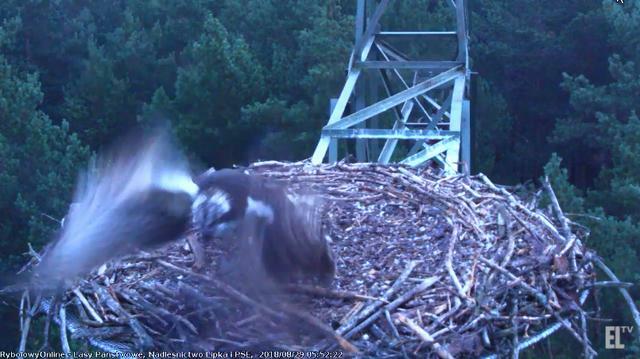 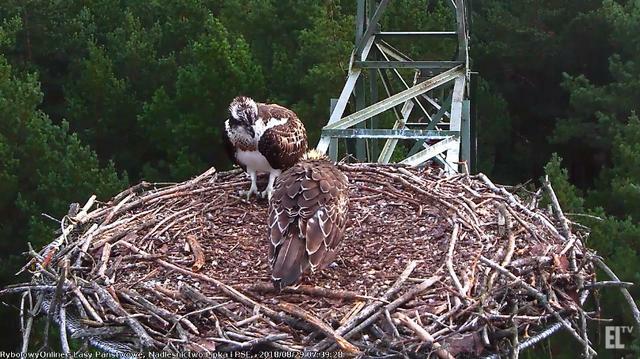 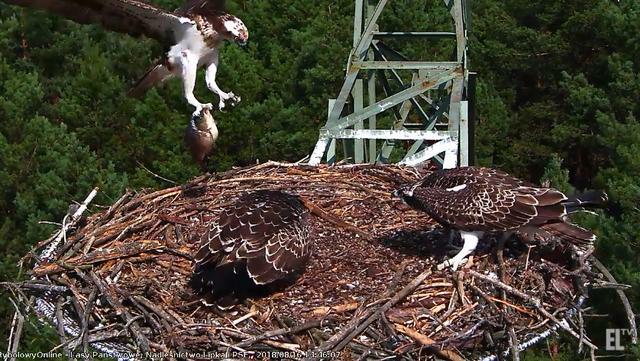 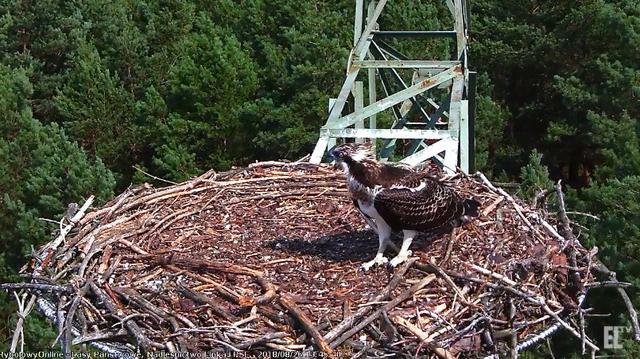 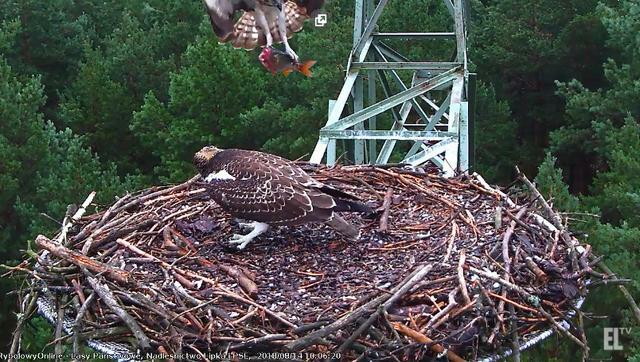 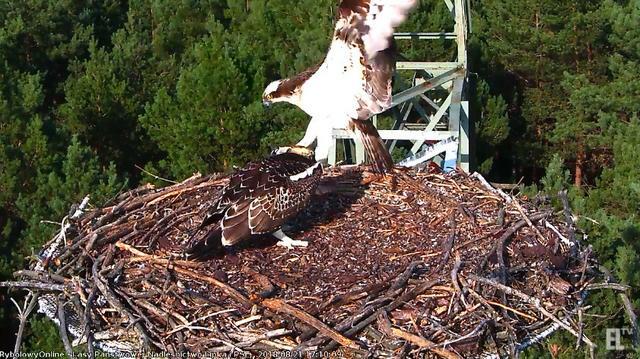 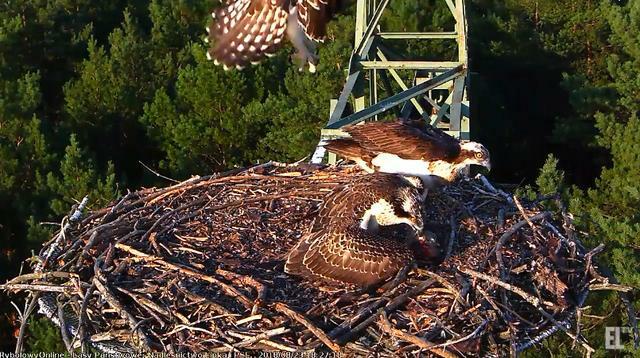 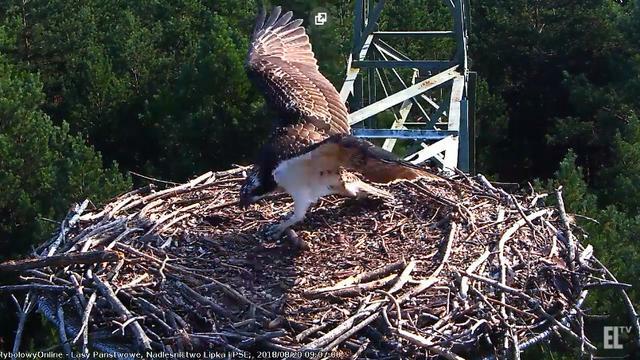 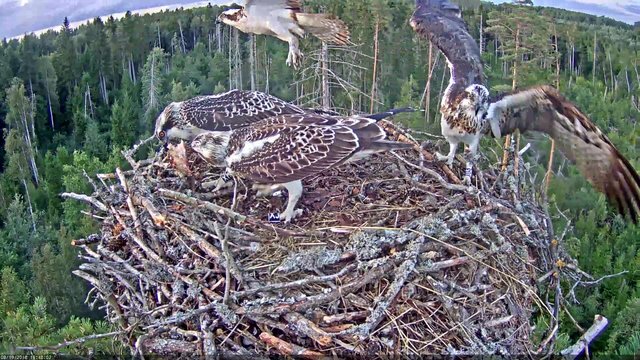 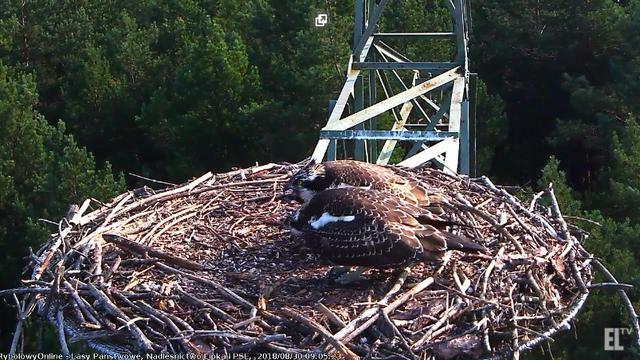 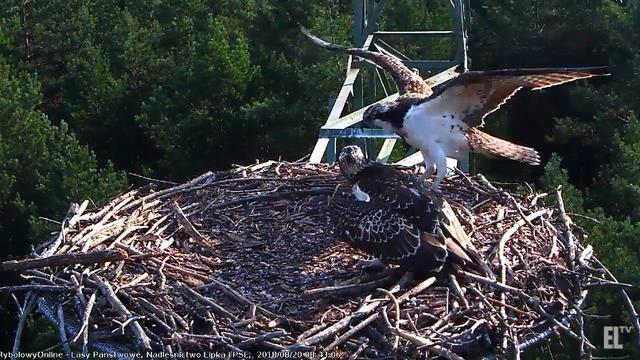 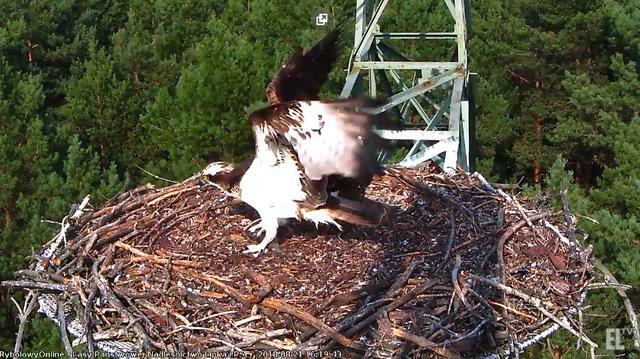 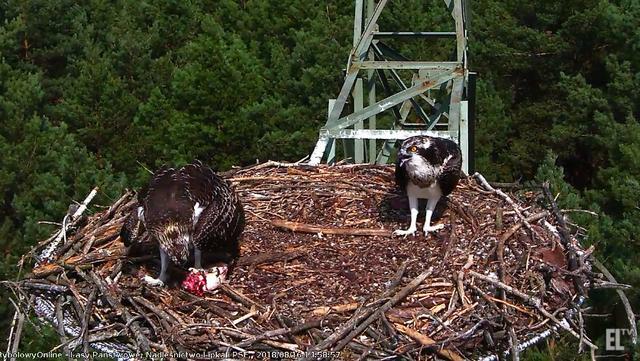 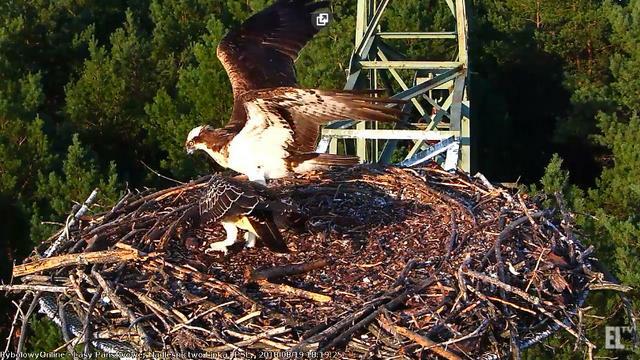 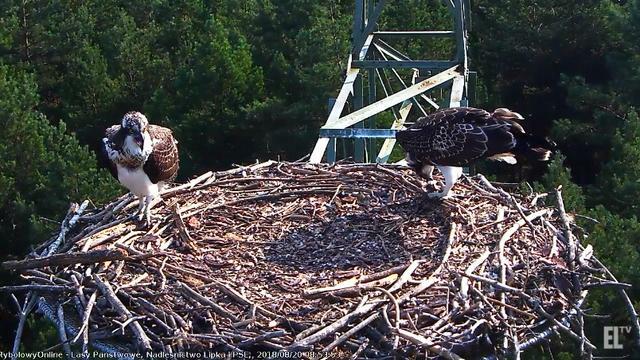 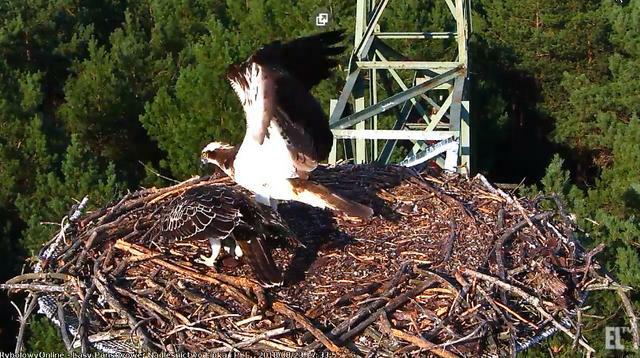 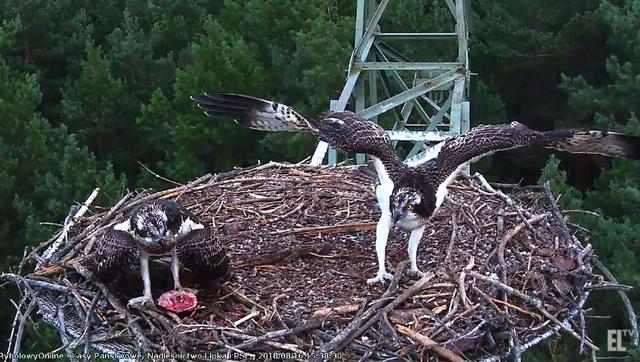 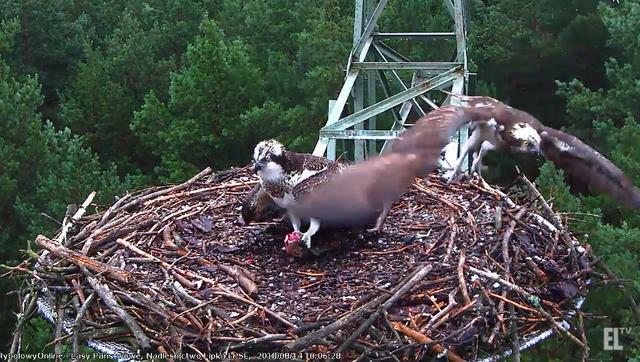 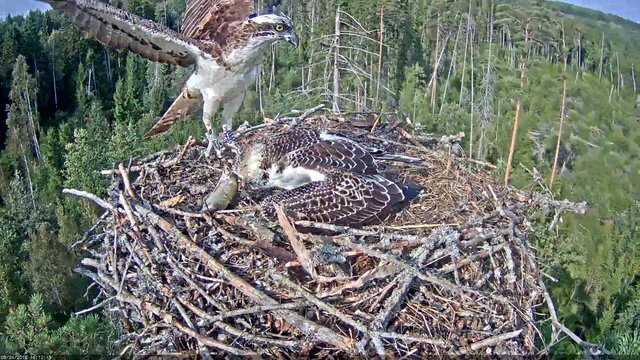 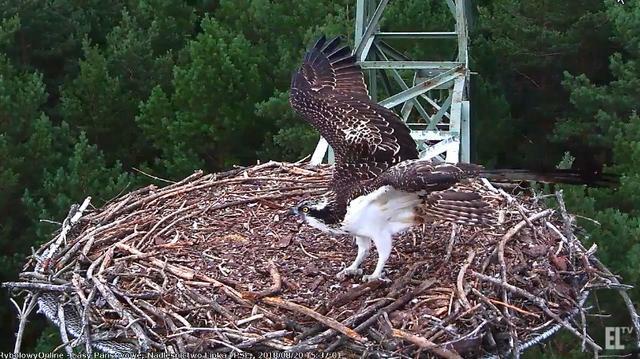 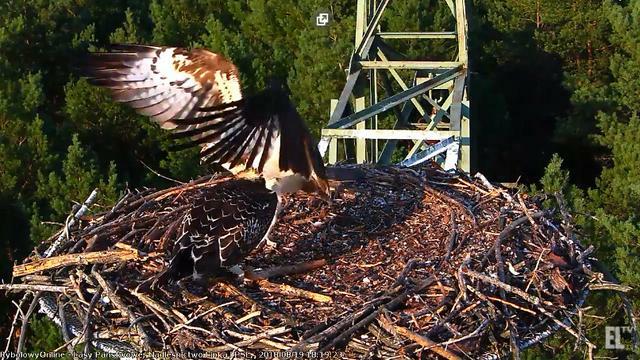 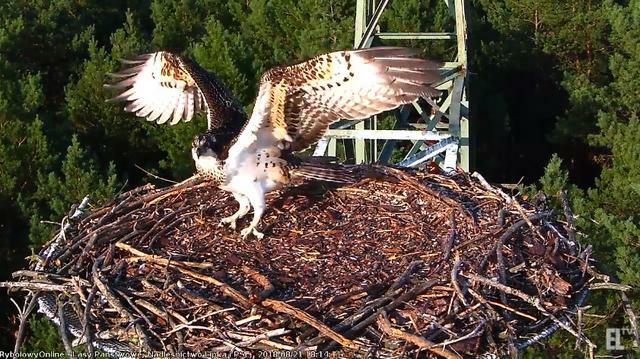 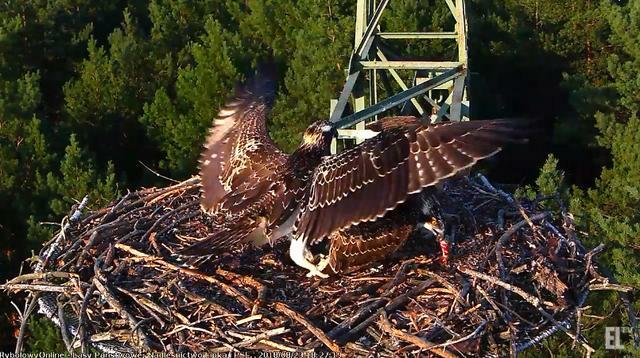 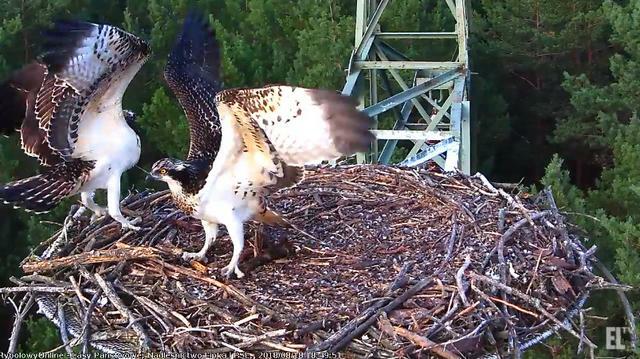 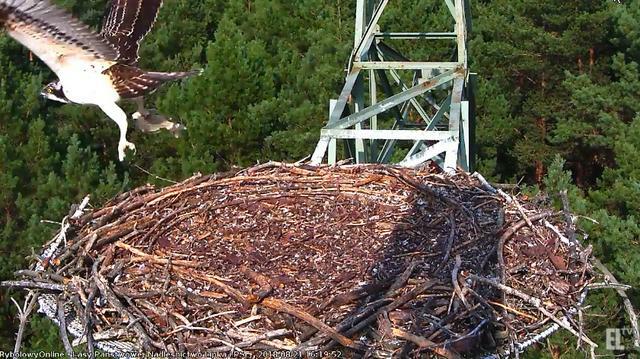 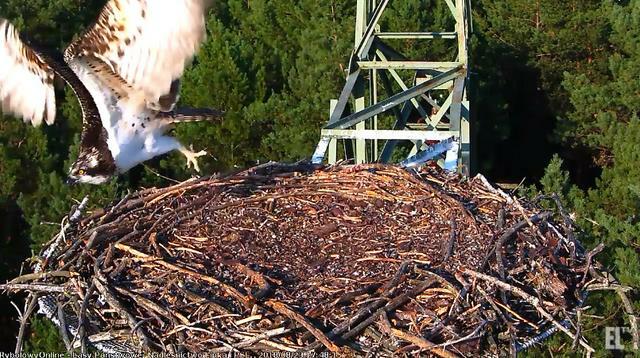 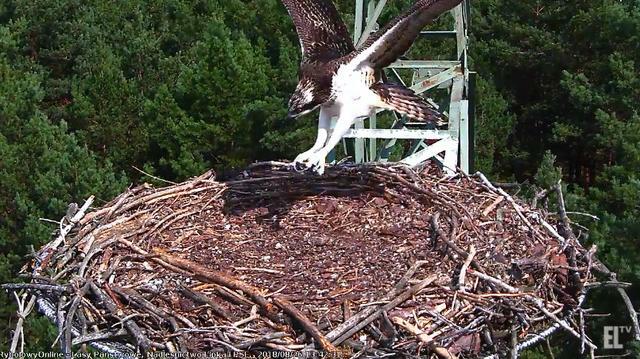 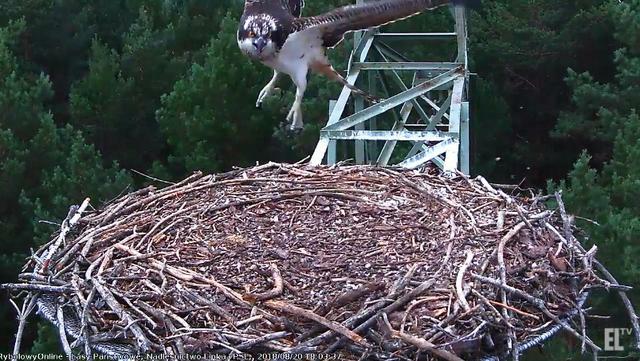 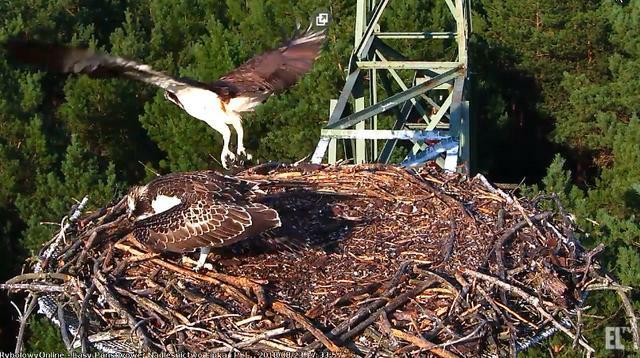 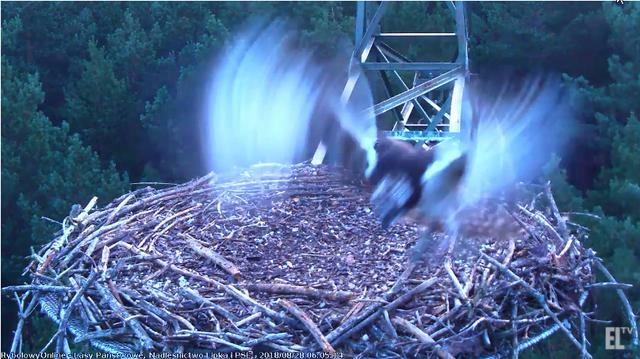 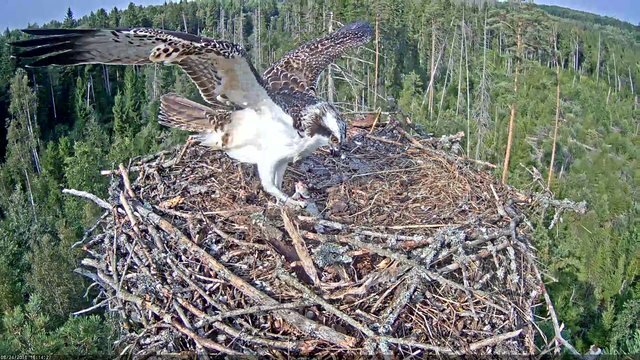 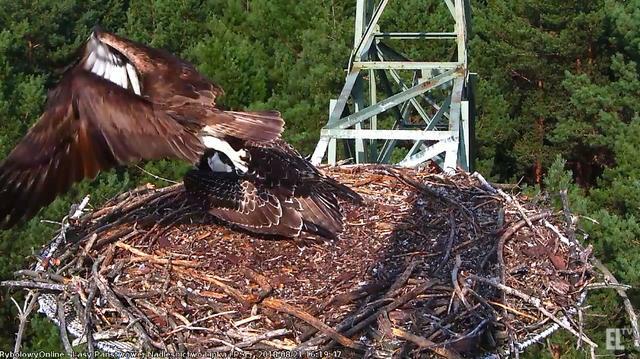 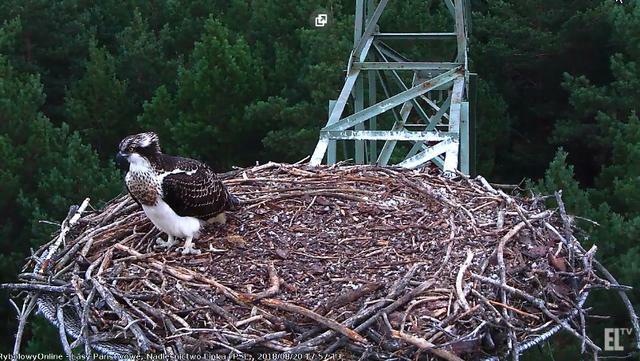 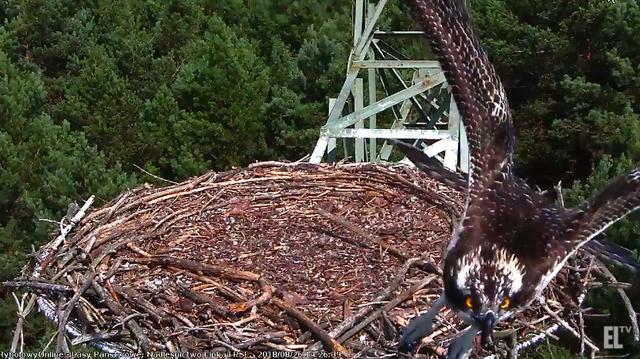 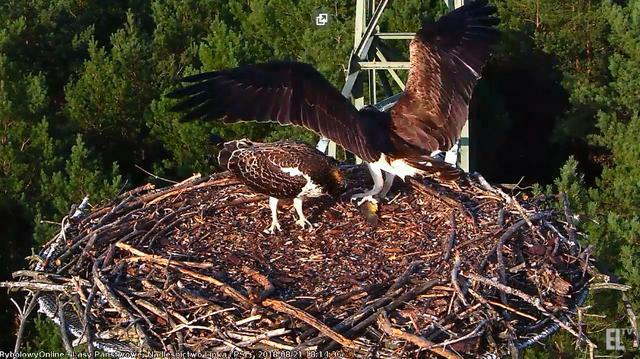 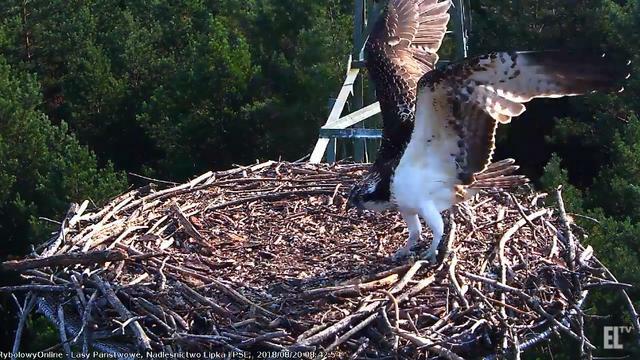 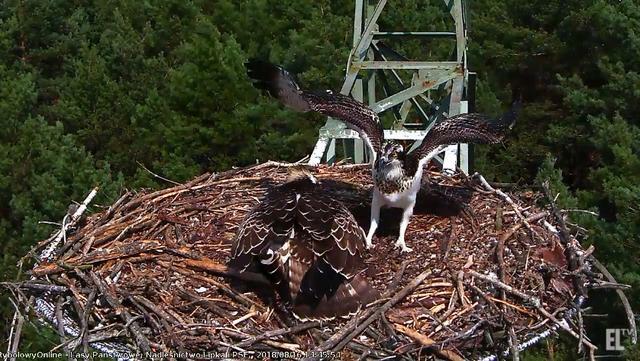 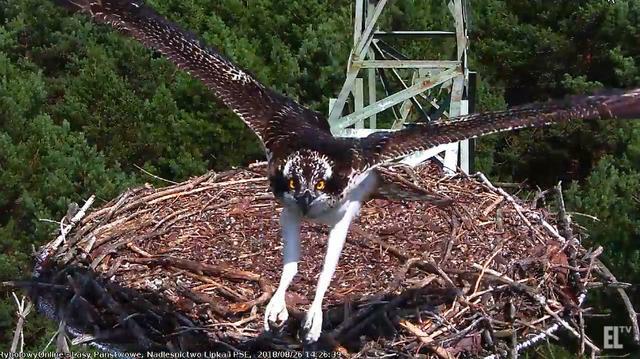 but also Lucrecja is the previous fish full, hey"
16.25 - 18.28 Dad with three delivery . 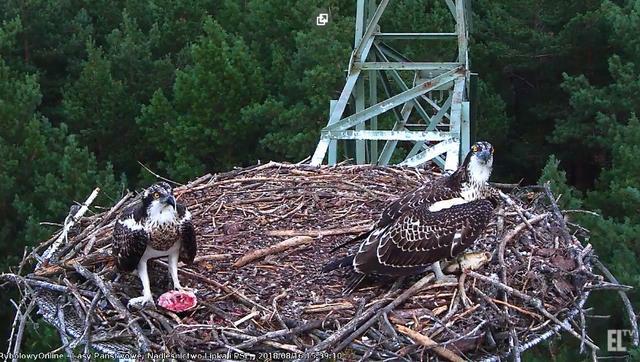 (one big fish is enough for one day in difficult conditions). 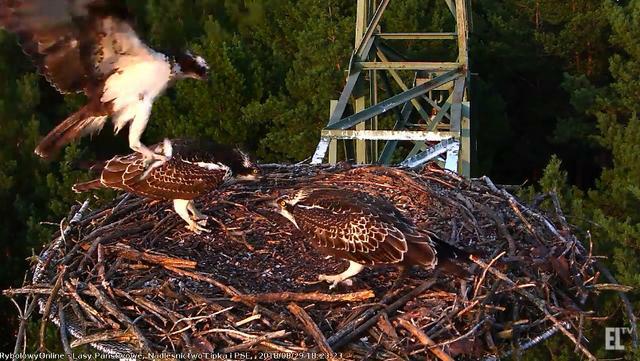 Dad rebelled. 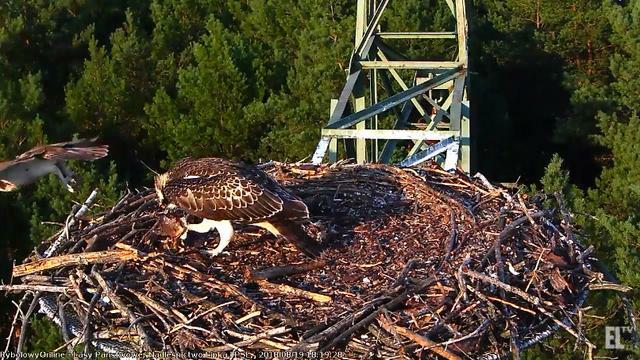 He did not bring breakfast today. 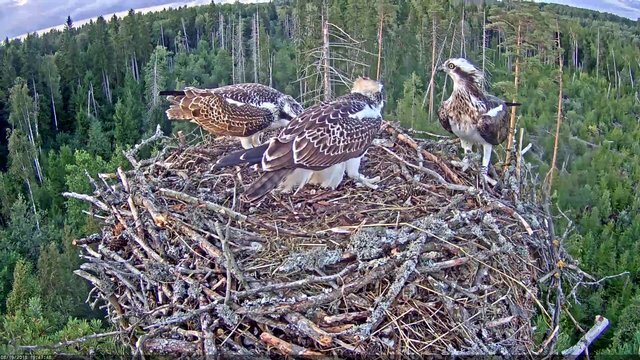 Maybe he is waiting at the water to teach them how to fish. 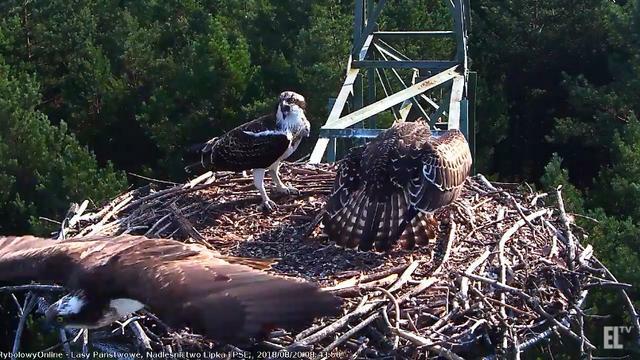 Elenuvien Firelle 16:47:55 and 17:33:17 fish. 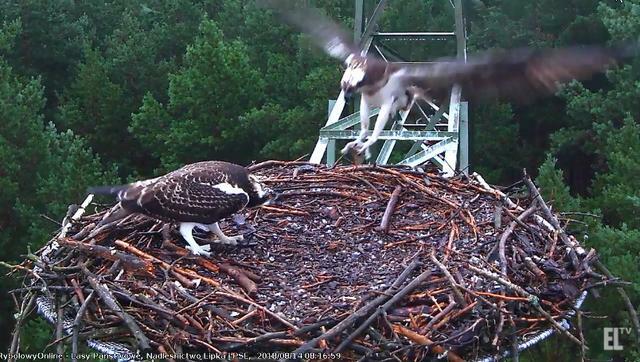 Elenuvien Firelle 18:23:23 one more! 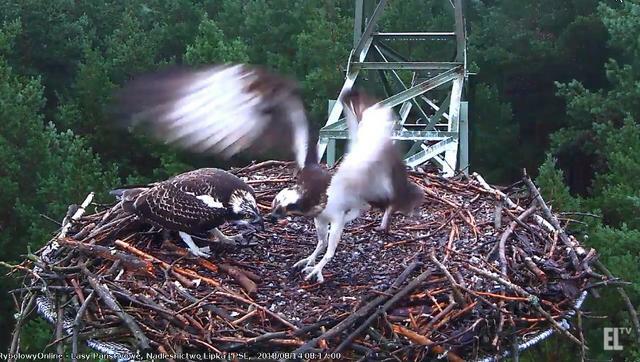 Szuwarek started up. 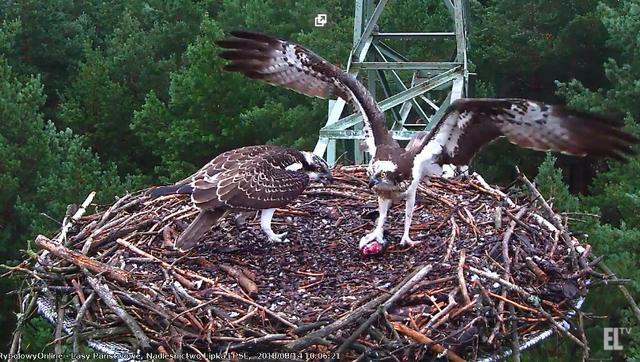 Eurydice The next predator for Lukrecja"